Can you tell me, which brushes you use in your works ? Yes. I am using this brush on illustrations work of Japan. However, I don't use it on comics work. Because, this art style is a time-consuming task. 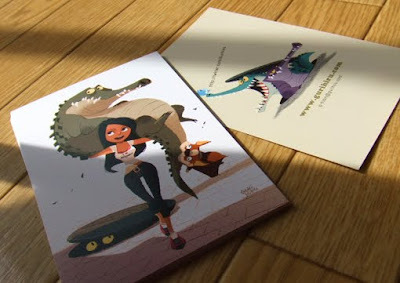 Those are neat business cards illustratons !